The 2014 Toyota Tundra is fully redesigned and remains one of the most capable full-size pickups on the market. The 2014 Toyota Tundra has now a refreshed interior and a new exterior look, and also offers some personal-use friendly trim levels. 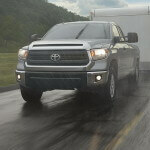 With numerous options available, Tundra can became an well-equipped family-use car. However, the Toyota Tundra is primarily a real pickup truck, a workhorse for people who need it. The 2014 Toyota Tundra offers five distinct trim levels, each with its own unique interior and exterior look: SR, SR5, Limited, Platinum and a new 1794 Edition (named for the former San Antonio ranchland that the Tundra’s factory now sits atop). The Tundra comes in three cab styles: regular (only SR), double cab and crew cab (named CrewMax) configurations. Double cab and CrewMax models offer four-door access and seating for five, but CrewMax has more space available for rear passengers. On the other hand, the Double cab models are offered with standard bed or long bed. The 2014 Toyota Tundra entry-level SR model is a work truck and it comes standard with 18-inch steel wheels, 60/40 split-folding rear bench seat, power windows, Entune Audio, Bluetooth connectivity, a rearview camera, fog lights, High Solar Energy-Absorbing (HSEA) glass, air conditioning and Display Audio system. The SR5 adds a chrome grille, satellite radio, variable intermittent windshield wipers and 18-inch alloy wheels. The Tundra Limited model adds to previous model 20-inch alloy wheels, Entune Premium with navigation, dual-zone automatic climate control, auto-dimming rearview mirror, heated leather seats, Deck Rail System with with four adjustable tie-down cleats, chrome heated power outside mirrors and more. A TRD off-road package is available for the Limited. The Platinum trim focuses on “urban and contemporary” (Toyota says) adds chrome and brushed metallic trim, perforated black leather seats, a 12-speaker audio system, power moonroof, front and rear parking assist sensors, LED Daytime Running Lights and auto-dimming outside mirrors with turn signal indicators. 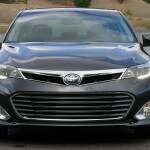 The full-size, four-door 2013 Avalon is the flagship sedan of Toyota and it is fully redesigned. Toyota says the new Avalon is one of the best looking passenger cars they have ever designed. The all-new 2013 Toyota Avalon has a dynamic look, roomy seating front and rear, large trunk, generous interior storage and offers responsive handling and excellent ride quality. The 2013 Toyota Avalon competes with Ford Taurus, Buick LaCrosse, Hyundai Azera and Chrysler 300. The 2013 Toyota Avalon comes in XLE, XLE Premium, XLE Touring and Limited trim levels. The 2013 Avalon XLE comes standard with 17-inch alloy wheels, heated mirrors, automatic headlights, dual-zone automatic climate control, cruise control, full power accesories, heated front seats, leather upholstery, an eight-way power drive seat, four-way power front passenger seats, a tilt-and-telescoping steering wheel, keyless ignition, keyless entry, a 6.1-inch touch-screen display, Bluetooth connectivity and an eight-speaker audio system with a CD player and an USB/iPod interface. The 2013 Toyota Avalon XLE Premium adds an upgraded keyless ignition and entry (with functionality for trunk), a rearview camera, and an auto-dimming rearview mirror with compass. The Avalon XLE Touring adds fog lamps, upgraded leather upholstery, heated rear seats, blind-spot monitor with rear cross-traffic alert, a navigation system, Toyota’s Entune system, a 9-speaker audio system and 18-inch wheels. The Toyota Land Cruiser is an eight-passenger sport utility vehicle (SUV) that was first launched in Japan six decades ago and has remained constant in Toyota’s U.S. model lineup for more than 50 years. For the 2013 model year, the Toyota Land Cruiser receives equipment updates and exterior and interior styling enhancements. 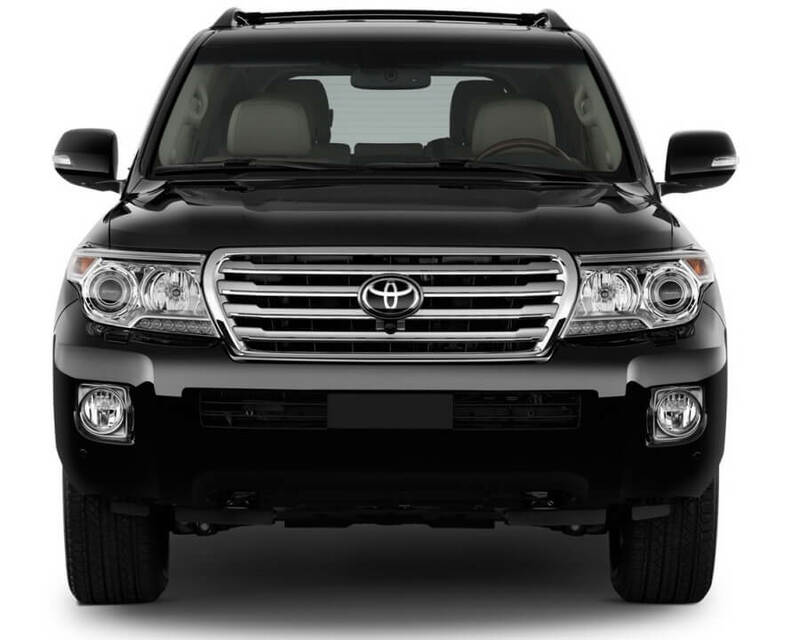 The 2013 Land Cruiser is Toyota’s second-largest SUV and has an excellent combination of off-road capability and on-road comfort, a lot of standard features and a luxury interior. 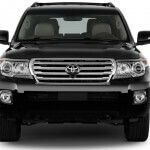 The main rivals of 2013 Toyota Land Cruiser are Land Rover Range Rover, Mercedes-Benz GL 550, Lexus LX570 and Audi Q7. The 2013 Toyota Land Cruiser is available in one well-equipped trim level. Standard features include 18-inch wheels, foglamps, automatic xenon headlamps, privacy glass, a roof rack, automatic wipers, power-folding and auto-dimming mirrors, keyless ignition, keyless entry, heated front seats, four-zone automatic climate control, ventilated front seats, a center console cooler box, leather upholstery, a tilt-and-telescoping steering wheel, a rearview camera, a navigation system, a touchscreen interface, voice control, Bluetooth connectivity and a 14-speaker JBL sound system with HD radio, a CD player and iPod/USB interface. The refreshed exterior of 2013 Toyota Land Cruiser includes an updates front grille and headlamps with HID low-beams, LED Daytime Running lights and enlarged front and rear fenders. The 2013 Land Cruiser is available in seven exterior colors: Classic Silver Metallic, Magnetic Gray Metallic, Salsa Red Pearl, Sonora Gold Pearl, Amazon Green Metallic, Black and the new Pearl White. The 2013 Toyota Venza is a large five-seat hatchback, named by Toyota a “crossover sedan”, that received for 2013 model year an enhanced exterior styling, new standard convenience features and updated option packages that include the Entune multimedia system. Three new exterior colors are also available for 2013 Toyota Venza: Cypress Pearl, Attitude Black and Cosmic Gray Mica. 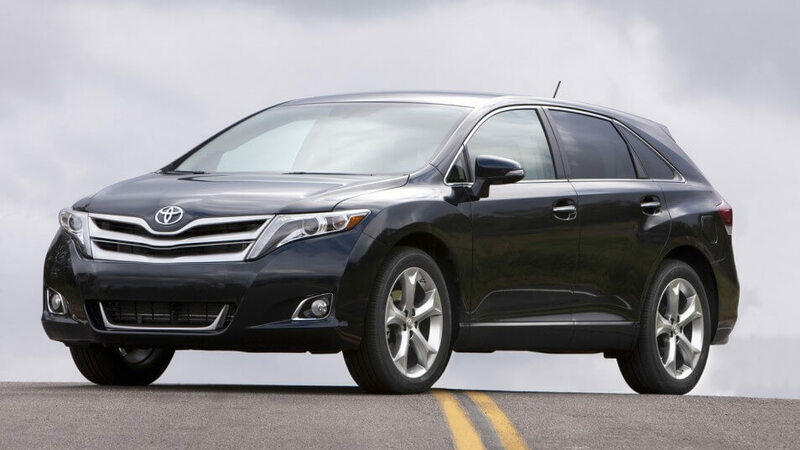 The 2013 Toyota Venza is available in three interior colors: Ivory, Light Gray and Black. A touchscreen interface is now standard on all 2013 Venza models. 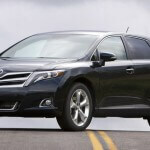 The 2013 Toyota Venza successfully couples the flexibility of a SUV with the comfort and styling of a passenger car. The 2013 Toyota Venza is available in LE, XLE and Limited trim levels, and each of them can be equipped with all-wheel drive or front-wheel drive. The 2013 Toyota Venza LE comes standard with 19-inch wheels, foglamps, privacy glass, automatic headlights, a windshield wiper de-icer, cruise control, dual-zone automatic climate control, keyless entry, a tilt-and-telescoping steering wheel, an eight-way power driver seat, a cargo cover, Bluetooth audio and phone connectivity and a six-speaker audio system with a CD player, an iPod/USB interface and a touchscreen interface.